The Deaf Disc Golf National Championship has returned to the Augusta area after more than a decade, bringing with it talent from around the country and abroad. 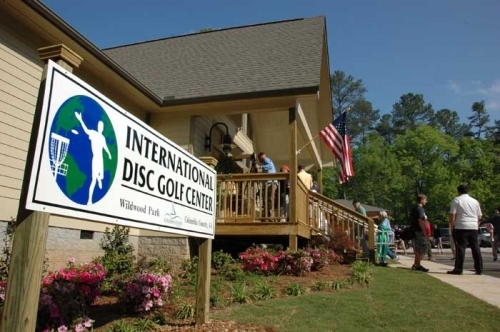 The event, sanctioned by the Professional Disc Golf Association, will be held at the International Disc Golf Center in Appling and features 90 players representing 27 states and two countries. To qualify, participants must be legally deaf or hard of hearing, Assistant Tournament Director Jason Allind said. In the men’s open division, Daniel Sweet will attempt to repeat as national champion in a field that includes four-time champion David Tomlinson and Justin Ashton, who has won the division three times. Women’s champion Brandie Aguado has also returned to defend her title. The first round of competition will begin at noon today, with professionals and amateurs playing the W. R. Jackson and the Steady Ed courses, respectively. Two rounds will be played Friday and a single round will take place on Saturday. The top four competitors in the men’s open division after four rounds will play nine extra holes to determine a national champion. The event is free to attend. In a statement earlier this week, PDGA Executive Director Brian Graham said the event epitomizes the adaptability of the sport. “Disc golf has always been an all-inclusive sport, and we are excited for our competitors to experience the championship level of disc golf provided at this national level event,” he said. The first deaf national champions were crowned in Austin, Texas, in 2001 at a tournament that featured just two divisions for singles competition. Three years later, it was held in Augusta on what is now known as The Player’s Course at Lake Olmstead, growing to include five divisions. The tournament is never held in the same state in consecutive years. Allind, who is also the IDGC manager, said organizers have spared no expense in making the event feel just like any other championship-caliber tournament.